Although the amphitheatre in the town announces Pula's Roman origins, its history in fact stretches far, far beyond this period. 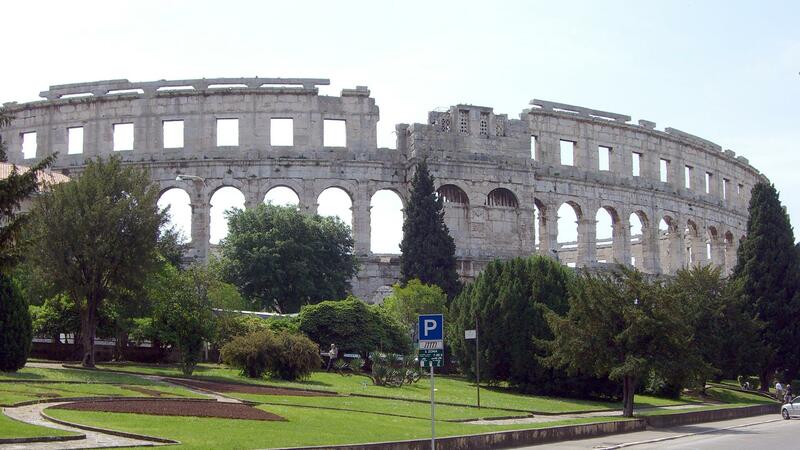 Archeological findings in the area suggest that Pula's history stretches back 40,000 or even 1 million years BC! It was however in the 11th century BC that Pula rose to prominence when it became a major settlement for the Illyrian tribe, the Histri. After expansion by the Roman Empire into Istria in 177 BC, in 40 BC Pula became a Roman colony and grew rapidly during the years 27 BC to AD 14 under Emperor Caesar Augustus. During this time several important buildings were constructed (including the amphitheatre) and the town rose in strategic and economic significance for the Romans, with local trade being prominent. After the fall of the Roman Empire, Pula fell under the control of various groups, including the Eastern Goths for 45 years to 538 when it became part of the Byzantine Empire, until the Slavs began their colonisation in the early part of the 7th century. The Triumphal Arch of the Sergii was built between 29 and 27 BC in honour of the Sergi family who fought on the side of Octavian, who later became Emperor Augustus, in the Battle of Actium in present-day Greece. The Temple of Augustus , was built between AD 2-14 in honour of Emperor Augustus. It stands at a site next to which there was also an accompanying Temple of Diana (of which only a very small part remains). The Temple now contains Roman sculpture. The Forum, where the Temple of Augustus stands, was once the main square in Roman times, is still today a bustling piazza with many cafes. The cathedral contains parts from various centuries, with its rear wall from the 4th century; its sanctuary from the following century; the internal part from the 15th century; and the bell tower from the 17th century. Hercules Gate is the oldest standing Roman monument, dating from the 1st century BC. 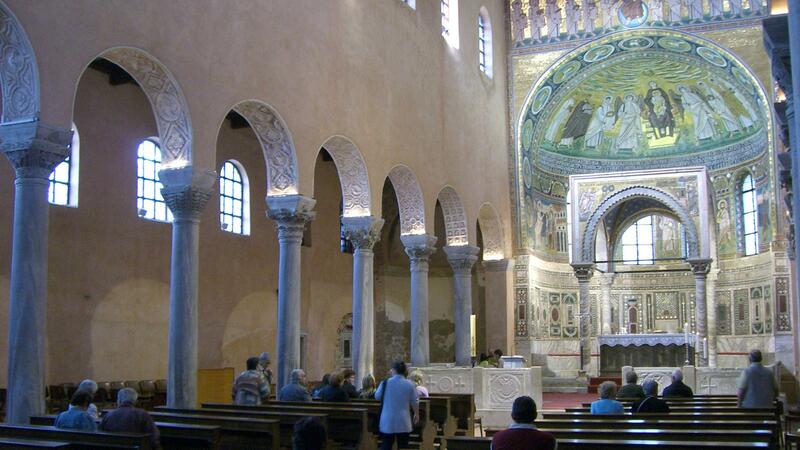 Euphrasius Basilica: The most valuable cultural monument in Porec. It was built on the remains of an earlier tri-naval basilica, in the first half of the 6th century, during the period of Bishop Euphrasius, whose name it bears. 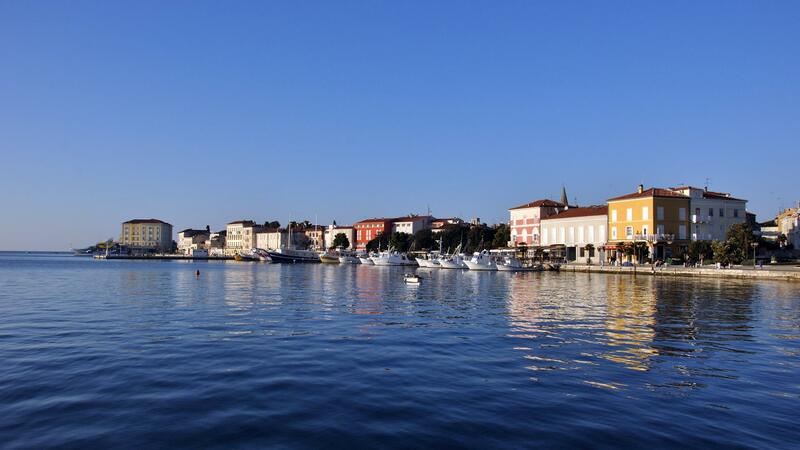 Square Marafor: In the 1st century it pride itself with the biggest Roman sanctuary in Istria. Mart's temple or the Big temple was one of the biggest on the Adriatic. The Great Temple: northwest of the Marafor Square. The remains (a part of the wall and foundation) of an ancient temple from the beginning of the 1st century. The Temple of Neptune: in a park, west of the Marafor Square, only fragments of the ancient temple, which was dedicated to the god of the sea, Neptune, are preserved. In the morning we drive to Poreč. 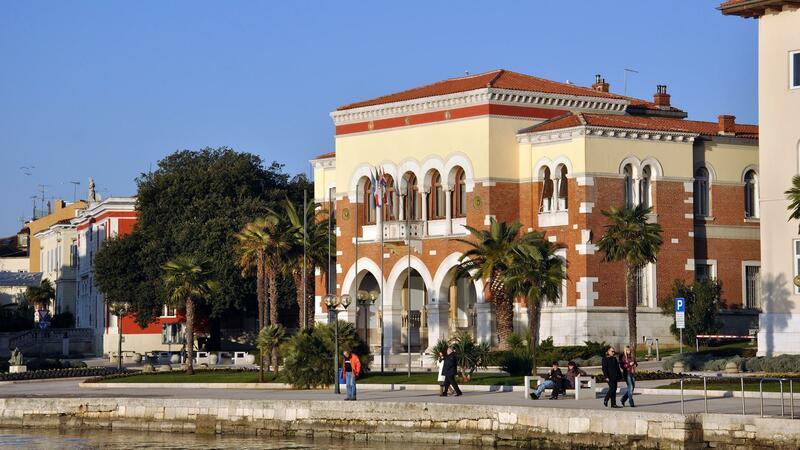 The whole old city of Porec is monument of culture. The old city has preserved the structure of old Roman castrum. The main streets, Decumanus and Cardo Maximus, are still preserved in their original forms. Decumanus connected the square Marafor in the western part of old city with city gates at its eastern end. Roman Forum with temples to Roman gods was located on the Marafor square. There is still today a Romanic house and a few beautiful Venetian gothic palaces. The Istrian Assembly Hall, originally a 13th century Gothic Franciscan church, was remade in baroque style in the 18th century. Porec was surrounded with fortification walls from 12th to 19th century. Three defense towers still exist at the entrance of the old city. 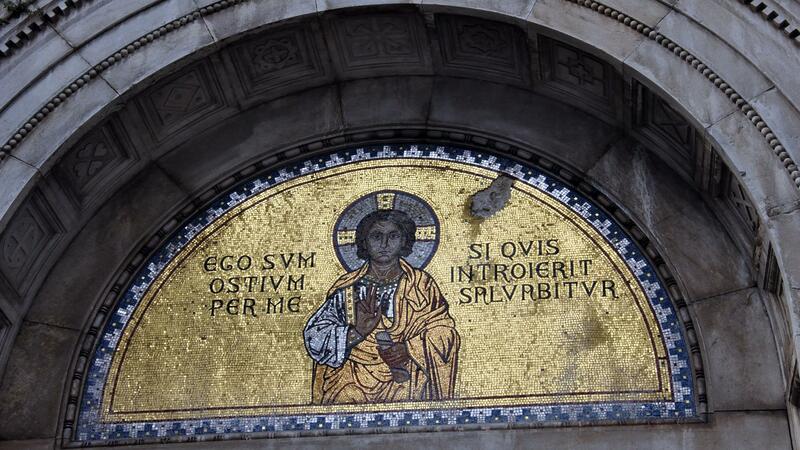 The most important cultural monument of Porec is the complex of Euphrasian Basilica dating from the 5th century. The original church was extended in the 6th century under Byzantine Empire and bishop Euphrasius. The interior of the basilica is ornamented with unique mosaics. From 1997 Eufrasius basilica is protected by UNESCO as a world heritage site. Later we are going to explore Pula, the largest town of Istrian county with lot of great monuments like Arena, (UNESCO) the most important monument in Istria from the Roman antiquity, erected in the 1st Century AD. When strolling around the Old Town, you will view the grandeur of Pula's impressive monuments, such as The Arch of Sergii, Hercules's and the Double Gates. Drive back to your hotel. I booked a full day private tour of the Istrian countryside. At first I was apprehensive because I did not know if customization was allowed but Fiore tours was great! They let me customize my own itinerary of the hill towns. They worked with me to fit all the sites into my day trip and I really appreciated the flexibility. In addition the guide/driver Luka was phenomenal. He went above and beyond and even took me to extra towns I didn't include in my plan. You can tell he genuinely cared about his guest and made sure they go to see everything on their list. Luka was very informative and friendly taking the time to explain everything. Luka is a top notch guide and made the whole tour enjoyable.